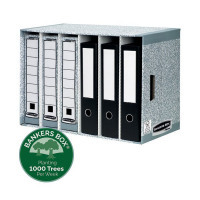 This desktop Bankers Box file store module contains 6 compartments to store 80mm Bankers box transfer files, lever arch files and ring binders. 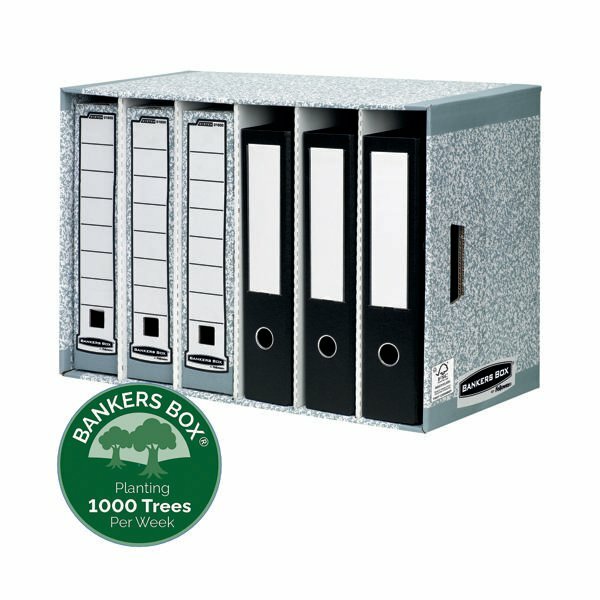 The unit features time saving Fastfold assembly and is stackable up to 3 high. This desktop module measures W580 x D290 x H400mm (external).